Below, find a lineup of local Cape Coral Resume Writing Services led by one of the top-rated online resume writing firm serving the Cape Coral, Florida area. Active links where available. Also, find key employers and links to popular job boards. Great Resumes Fast - "Just Superior Writing"
Top-shelf writing and guaranteed interviews propel this company to a 5-Star Rating. HR professionals work the magic; meet the writers and read their bios on the website. My in-depth REVIEW. Are you the owner of a brick-and-mortar Cape Coral resume service that's not listed here? Want to be? Just contact us and let us know! 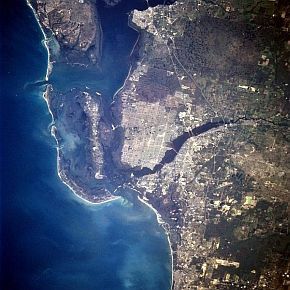 Cape Coral began as a planned, pre-platted city on Florida's southwest coast in the latter 1950s. It has the most inland canals of any city in the world and has changed from a retirement community to a typical city of average families among its 154,000 residents. The city's economy is mainly service-based, and it suffered significant revenue lost during the economic recession. The unemployment rate for the Cape Coral-Fort Myers area was 8.5 percent year-to-year in April 2012. Manufacturing had significant job gains. According to a recent Manpower report, most employers plan to maintain staff levels without losses or growth while 17 percent intend to add jobs. Major employees include the school district, the city hall, Cape Coral Hospital and private companies Whitney Information Network Inc. and newspaper publishers the Breeze Corporation. Other employers include Gulf Care Inc. and Affordable Roofing of S.W. Florida Inc.
Construction heads the list of most common industries and sales and related workers head the most common occupations list. The outlook for construction growth appears good. A new VA Clinic is near completion, a U.S. Army Reserve Center is expected to be built and the city council has recently approved a new shopping mall.